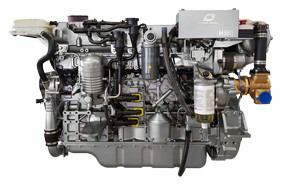 The H engine is rated for Heavy Duty and takes Hyundai SeasAll into a new dimension with the ability to serve the professional and commercial markets. The broad flat torque curve proves Hyundai SeasAll's diesel development capabilities are world-class and beats performance of competition's comparable models. • Idle & PTO rpm adjustable switch.